More follow-ups to my recent visit to the Aebersold Summer Jazz Workshop. I attended master classes with four great jazz guitarists: Corey Christiansen, Dave Stryker, Mike DeLiddo, and Craig Wagner. All four of these musicians gave me things to work on. One of the discussions that we got into with Corey was about quartal harmony, something I had worked with him on previous visits. I decided that it would be good to do an in-depth study on this material, so I plan on doing a series of blog posts. My ultimate goal will be to incorporate this into my jazz comping and soloing, but I am going to start out with a high-level survey of the territory. To do this, I’ll look at quartal chords of various size, dyads, trichords, tetrachords, pentachords, and so on. For each size of chord, I’ll look at all of the different possible quartal chord types, that is, all of the different possible combinations of the interval of a fourth. I’ll also look at where these different types of chord appear in harmonizations of four different scale types: Major, Melodic Minor, Harmonic Minor, and Harmonic Major; these correspond to the twenty-eight different modes I made reference to in my last post. Let’s start with dyads. There are three different qualities of fourth that I will look at: Perfect Fourth, Augmented Fourth, and Diminished Fourth. Since we are only dealing with fourths, I’ll use a simple label and just call them P, A, and D. The first figure below shows where each of these three different dyads occur in harmonizations of our four different scale types. The next figure contains some statistics about how often each dyad type occurs in the different harmonizations. There are a few things to note. First, it’s clear that the prefect fourth appears the most often: eighteen times out of twenty-eight in total. In a sense, this makes the perfect fourth the most ambiguous of the three dyads, since it occurs in so many contexts. Another interesting insight is the augmented fourth; since it only occurs once in the Major scale, it has traditionally been taken that it serves well to establish the scale type and key. 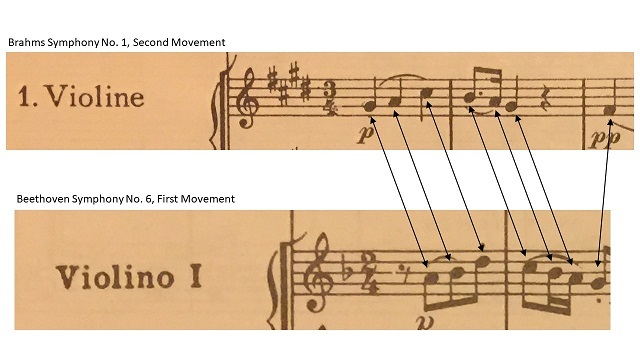 However, the augmented fourth appears twice in each of the Melodic Minor, Harmonic Minor, and Harmonic Major scales, arguably making each of these scales more harmonically ambiguous than the major. Another thing that strikes me is that the Melodic Minor, Harmonic Minor, and Harmonic Major scales have the same number of occurrences of the different dyads P (four times), A (two times), and D (one time). That’s it for today. Next time, I’ll do the same treatment for quartal trichords. I just got back from two weeks at the Jamey Aebersold Summer Jazz Workshop. It was amazing, as always, and especially important since this is the final session before Jamey retires after running the “camps” for over fifty years. I sat in on Pat Harbison’s advanced music theory class, and I got some great ideas out of that. One idea in particular got me thinking about digging deeper into the sound of specific modes. Pat mentioned something along the lines of “twenty-eight modes ought to be enough.” Since there are about twenty-eight days in a month, and twelve months, I saw how you could practice a different mode on a different root note every day of the year. Take the month as your root, and the day as your mode number. The base scales I chose were Major, Melodic Minor, Harmonic Minor, Harmonic Major. For the extra days in the month, up to three in a month with thirty-one days, I added Diminished (mode 1), Diminished (mode 2), and Whole Tone. Today is July 17, so that means my mode of the day is the second mode of Harmonic Minor, with a root note of F# or Gb. The whole scheme is summarized in the charts below. The music prize was first awarded in 1943 to William Schuman for Secular Cantata No. 2 A Free Song, which had been premiered by the Boston Symphony Orchestra the previous year. The later recipients were, for the most part, well-known composers of contemporary concert music, or what some people term contemporary classical music. The winners were all men until 1983, when Ellen Taffe Zwilich won for Symphony No. I (Three Movements for Orchestra). In 1999, Melinda Wagner won for Concerto for Flute, Strings and Percussion. Since 2000, women have won more frequently, including Jennifer Hidgon (2010), Caroline Shaw (2013), Julia Wolfe (2016), and Du Yun (2017). In terms of genre, the prize had always gone to contemporary concert music, with the exceptions of 1997 when Wynton Marsalis won, and 2007, when Ornette Coleman won. a virtuosic song collection unified by its vernacular authenticity and rhythmic dynamism that offers affecting vignettes capturing the complexity of modern African-American life. And the Official Winner of New Music Drama's ULTIMATE PULITZER BAD TAKE is………………. I’m only 21 pieces in so far, so I will need to pick up the pace to make it through all 194 pieces with opus number this year. Right now, I’m listening to the Violin Sonata No. 1 in D Major, Op. 12 number 1, and just came across my first “favorite moment” in these early pieces. It’s a cadential figure that happens in the first movement, at the end of the second theme. From what I can recall, I first heard this piece in a performance in Von Kuster Hall at UWO, around 1987 or 1988. This moment is striking, and you can hear why it would appeal to someone who has played rock guitar. Even better than a power chord! I was listening to the WQXR broadcast of the Vienna Philharmonic at Carnegie Hall last night. It was an all Brahms program: The Academic Festival Overture, The Haydn Variations, and the first symphony. I grabbed my trusty old Dover score and followed along for the performance of the symphony. I was not paying too close attention, but even so, something leaped out at me at the start of the second movement. The opening theme begins with a striking similarity to the first theme of Beethoven’s sixth symphony. I grabbed my Beethoven score, and sure enough, the first seven notes of both themes are the same. The Brahms is in E Major, the Beethoven is in F major, so the Brahms is naturally written a semitone lower. Both themes are given to the first violins. The rhythms and tempo are different. Nothing like a new year to start a new project! One of mine for 2018 is to listen to all of the works of Ludwig van Beethoven, from start to finish. How would you like to join me? We’re just getting started with the Piano Trio in Eb Major, Op. 1 No. 1.